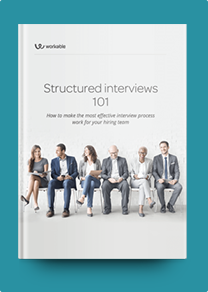 This Guidance Counselor interview profile brings together a snapshot of what to look for in candidates with a balanced sample of suitable interview questions. Guidance counseling is difficult and specialized work requiring credentials such as an MA in school counseling, MA of social work, a specialization in psychology, and state certification in school social work or school psychology. Once you’ve vetted your candidates for the particular credentials you need, you’re ready to begin the interview process. Keep in mind that the role of the guidance counselor may vary depending on the specific educational environment and grade level of the students they support. For example, a guidance counselor at a middle school may focus on educating students about the relationship between learning and work, whereas a guidance counselor at a high school may be focused on graduation and career counseling. These questions are a starting point and can be further tailored to the student population that the guidance counselor will serve. In addition to proven work experience, the most promising candidates for this position will have exceptional written and verbal communication skills and high emotional intelligence. They’re authoritative good listeners with an appreciation and awareness of the diverse backgrounds of their students. They’ll have ready answers for the situational questions as well as any follow-up questions you’d like to ask. Listen closely — their answers will tell you more about their ability to prepare your students for life beyond school, as well as their ability to model the culture you want for your school. What do you like about working with (elementary/middle/high school) students? How is your role different from that of a social worker, mental health counselor, or school psychologist? How much experience do you have with LGBT students? What has been your experience with special education students? Describe the profile of an at-risk student. How do you manage cultural differences in a school setting? Describe your experience with group counseling. Talk about the difference between a 504 plan and an IEP plan. What situations might call for a behavior management plan? Recall a time you resolved a problem with a difficult parent. In what ways do you balance the needs of students, parents, and school administrators? In what ways have you helped students cope with grief, loss, or mental health issues? What factors would you consider before recommending an outside agency referral? In what ways have you coordinated efforts with other school specialists towards a common goal? How do you keep up with current trends or news in the field of guidance counseling?